<<< Click here to buy original Come On Daisy artwork. 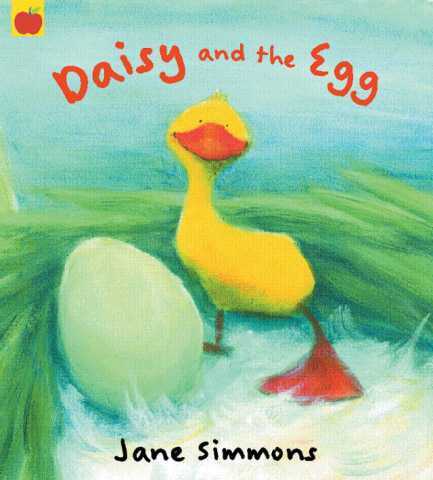 1999 Daisy and the Egg. Daisy helps Auntie to look after Mamma’s egg. Something’s inside, what could it be? 2000 Daisy and the Beastie. 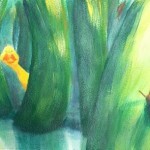 There’s a Beastie lurking in Grandpa’s farm. Daisy and Pip search high and low, but do they find it?. “Anything but boring. Jane Simmons, already a deserved award-winner, is just so funny. 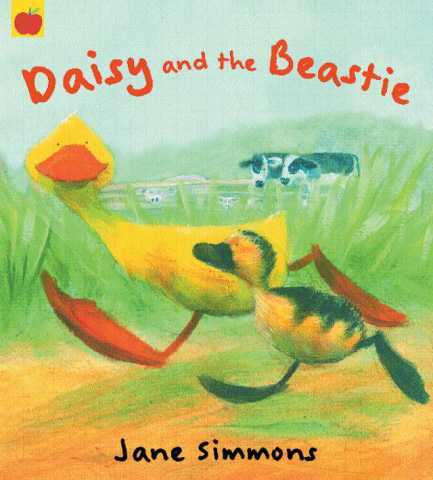 Everyone will surely be taken by her Daisy, the duck with outsized feet and too much curiosity.” Daisy and the Beastie/ The Independent. 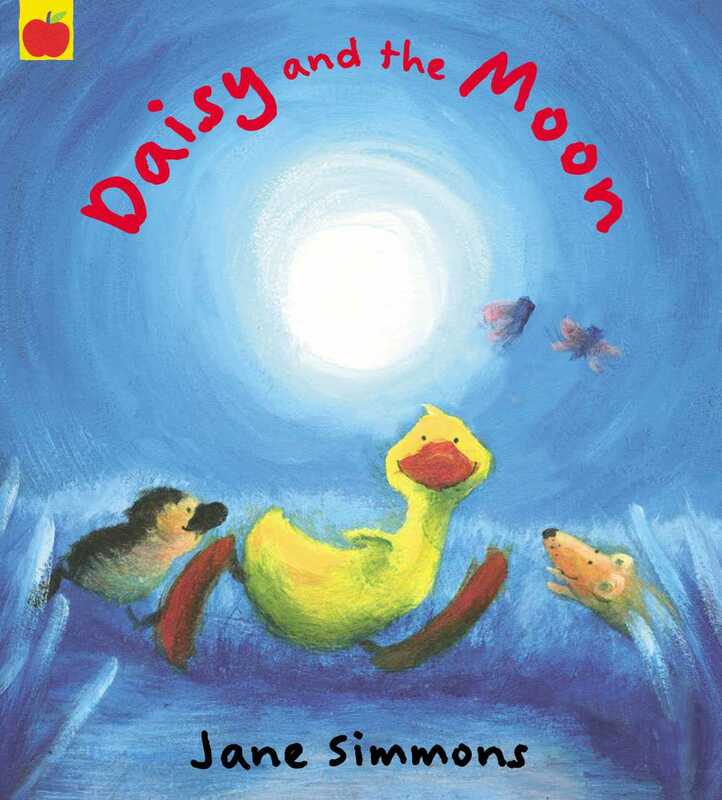 2004 Daisy and the Moon. Daisy can’t sleep, but it’s a bright moonlit night when things flutter and squeak. 2006 Daisy to the Rescue. Brought to life in five 3D scenes. The carousel opens out into a full circle, packed with Daisy’s adventures throughout the day. 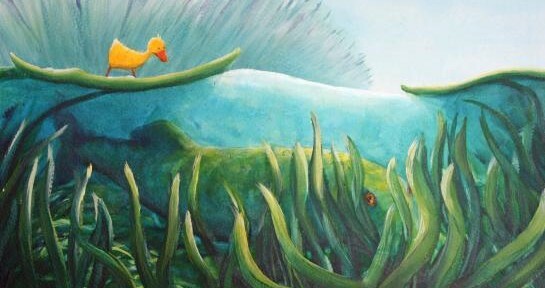 When it’s time for Daisy and Pip to have their tea and a bedtime story, they are so busy having fun that Mamma Duck has difficulty getting them home. But by the time Daisy and Pip are snuggled under Mamma’s wing they are so tired out after their long day that they don’t even hear her say “goodnight”. 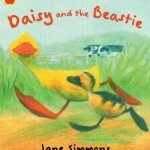 Hi, I live in Australia and have been trying to get copies of Come on Daisy, Daisy and the Egg, Daisy and the Beastie and Daisy and the moon. I read these to my daughter hundreds of times when she was little and they were her favourite books. The books have become lost and I would love to get them for her for her 16th Birthday. I have been told they are out of print. Are there any reprints planning on being released in the future?? I’m so glad your daughter enjoyed my books. 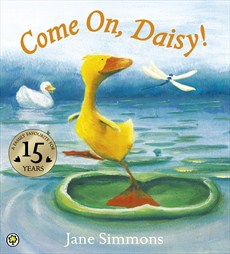 A special edition of Come On Daisy is now available to celebrate her 15th birthday, as a paperback and an ebook. 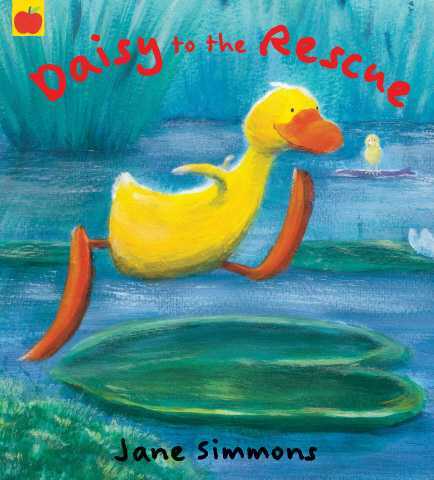 Hi Jane will you ever be making the Daisy plush ducks again? Hi Donna, my publishers are relaunching the daisy books next year and I can only hope they issue the Daisy plush again. Nothing definitive yet, but fingers crossed! I hope you do make more Daisy’s!!! My class of 2 1/2-year olds in Wisconsin LOVE her! We are called the Puddle Ducks and she is our special friend! Another vote for releasing the book and small toy pack again! Our youngest (Pip – just like Daisy’s little friend) has had one since birth and after twelve years is a little the worse for wear. Dad accidentally putting Daisy through the washing machine this morning didn’t help either. I’d love to see them issued again too. I was convinced I’d seen the pack with Come on Daisy and the soft toy recently in shops, but now I want to buy one I can’t find it anywhere. My nearly 14 year old has a very worse for wear Daisy, she has been a favourite since he was a baby, and I’d like to buy one for my new niece named Daisy. I hope they are re-released soon. It is such a great story and toy! My daughter is 11 months old and we found your books at the library many months ago and have been reading them over and over. I have them memorized and she recognizes your poem-like verses and smiles at me whenever I say them throughout the day. She absolutely LOVES Daisy!!! I have a little fabric ducky that looks a little like her and I call her Daisy, and she carries it around :). I really want to buy her the “Go to Sleep Daisy” and the “Daisy says Coo” books, her favorites, but I did not see them at Wal-mart. Are they still being sold at bookstores or do I need to find used ones? 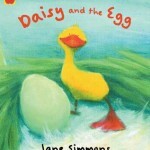 It is great to hear your daughter loves my Daisy books. Come on Daisy is celebrating her 15th birthday in January with a paperback reprint, hopefully more of the series will follow suit. Meanwhile, if you follow the Amazon link under ‘my books for sale’, you’ll find used ones available. 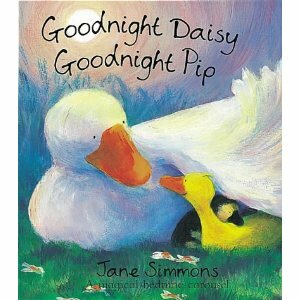 I was wondering of Pip is the same kind of duck as Daisy. They look so different. Also… I really love your books and Daisy and the Beastie is about my favorite book ever!!!!! Pip takes after his father who is a wild duck. 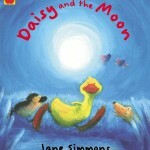 Hi Jane, I was wondering if there is any new on the release of your Daisy books. I have named my 4 year old daughter, after my grandmother Daisy….So that being said, my daughter, Daisy and I collect any book with her name on it. Also I read a previous post there were plush “Daisy” I would absolutely LOVE one!!!! 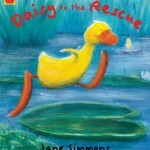 It is Daisy’s 15th birthday this year and a paperback edition of COME ON DAISY has just been reissued to celebrate it. I run a small pre-school for children 2-5 years and this term is all about books. I would like to do some activities concentrating on the Daisy books. Is there anywhere I could get some more ideas. I have passed your question on to my publishers so they should be in touch with you and have also added a link on my events page, to some activity sheets. Any more news on Daisy plush making an appearance this year?!? I shall forward your comment on to my publishers… I can only hope! Hi Helen, I have forwarded your request to my publishers and can only hope they consider relaunching them. Fingers crossed! I do the same thing with my little class of 2 1/2-year olds. The Daisy books are our favorites! I am hoping there will be another plush released-mine is getting kind of threadbare! I’m trying to encourage my publisher to release a soft toy this year, I have forwarded all requests in the hope that they will. I so hope they release the plush toy because my grandson loves my daughter and we might have a problem if he loses it. My grandmother had read me the Daisy books from a very young age. I fell in love with Daisy! I absolutely love Come Along Daisy. At the age of 13, I still own two plush versions of Daisy and refuse to give up my books! It’s great to hear you still love Daisy after all these years. I hope she’s still with you for many more. Bong plop! 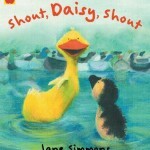 Hi Jane, 16 years ago I bought daisy books and plush doll for my daughter. We read her those books endlessly. She had daisy glued to her every day and slept with her every night. She still has daisy with her in her room. We always thought your daisy books were precious. Now that I have a niece I would like to get the set for her as well as the daisy doll. Any news of it being sold again? We, too, would love to have a new Daisy plush. Hope that they will consider producing these again soon. My 9 year old son who has sports posters all over his room still sleeps every night with his best friend Daisy. She is a special duck!! My 2 1/2 year old daughter loves your books! We have rented them over and over from our local library. Thank you for sharing your talents with us! Thank you, that has really put a big smile on my face today! I’ve had my Daisy Duck toy for 16years now and it is my most treasured item I own. I would like you to make a book and toy pack again. So I can get them for the children in my family. Thank you for making such a brilliant character!! 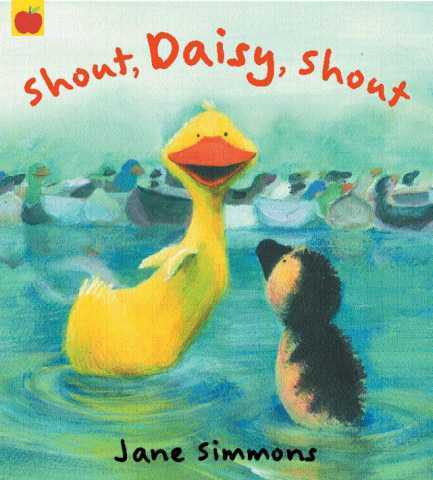 I love, love, love your Daisy books. I teach different grades and read them to the children all the time. I just noticed (after many times reading) that there is a typo in the “Daisy and the Monster” book. On page 7, the word “said” is spelled “siad”. The page reads, “… or hiding with the geese.” “Honk! Honk!” siad the goslings. “Honk!” said Pip. I just thought I would let you know in case this book is ever printed again. Thanks for the beautiful pictures and great stories.